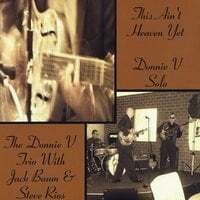 Donnie V | Donnie V Christian Blues | Prayer Request or Comments : Family, Please Pray For Miss Kim in Kentucky!!! Family, Please Pray For Miss Kim in Kentucky!!! Thank You Miss Kim For Standing For Our Father against Gay Marriage as Our Country, Land of The Free, Tries to Force You To Go Against Your Belief and Mine in Our Father's Word! !, even to the Point of Going to Jail!! Gen. 3:22-25 And the rib, which the LORD God had taken from man, made he a woman, and brought her unto the man. 23.. And Adam said, This is now bone of my bones, and flesh of my flesh: she shall be called Woman, because she was taken out of Man. 24.. Therefore shall a man leave his father and mother, and shall cleave unto his wife: and they shall be one flesh. 25.. And they were both naked, the man and his wife, and were not ashamed. Our Father is Proud of you Miss Kim!!!! and so am I !!!!!!!!!!!!!!! !